When I was in my late teens, I came across the Discourse on the Method by Rene Descartes. In the treatise he comes to certainties by way of doubting everything. One of the certainties he arrives to is the fact that he, the doubter, exists. “Je pense, donc je suis”. I think, therefore I am; or its latin variant: Cogito ergo sum. The idea that your consciousness is one of the only things you can be certain of stuck with me, and it formed the foundation to my core life philosophy. Knowing I exist made me realize another thing — that as a conscious entity, I experience various states of being. It seems that most people’s subconscious “goal” at any given time is to be in a positive state or a state of happiness. There is a lot of philosophical controversy on the matter of happiness and whether that state of being is or should be an end in itself. Positive Psychology is a relatively new branch in the sciences that also delves deeply into the issue. Regardless of which state is better than another, I believe that simply being in a desired state is both a means and an end in itself. For the individual, the quality of consciousness is the end of all ends. I also came across the idea that it is possible to induce a desired state through meditation. 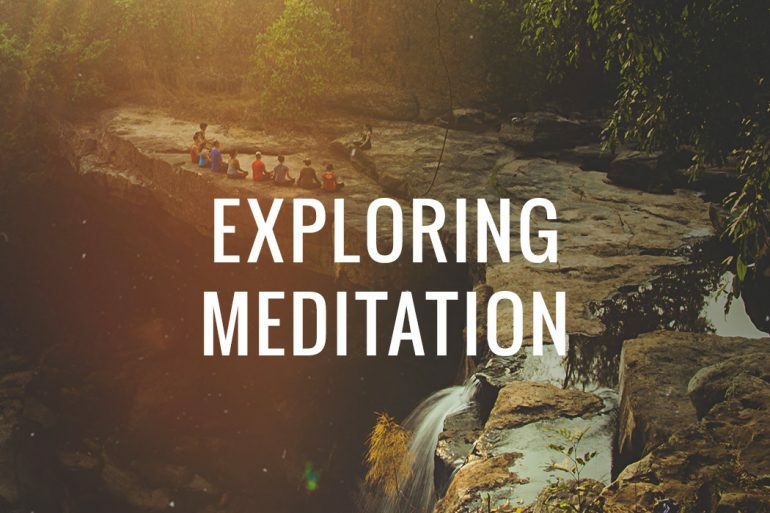 The history of meditation is rich and deep, and I encourage lovers of learning to explore it. There can be religious or spiritual undertones to what meditation is for most people, but what I am more concerned about in this essay is my personal “Why” and “How” with meditation, and how it permeates everything I do in my life. Rather than talking about meditation in its traditional sense, I’d like to offer that any and every activity in life can be meditative. The standard definition of meditation is “a practice in which a person trains the mind and/or induces a mode/state of consciousness.” There are numerous benefits of meditation, other than inducing the desired state (again, which is the end in itself), that are both psychological and physiological. This is the reason most people engage in it. When you experience how in tune you are with the moment you are in, The realization of attention and heightened awareness from meditation allows one to optimally experience everything; with calmness, clarity, and concentration. There are a lot of phrases that we are familiar with that describe this state: “to be in the moment”, “in the zone”, “in tune”. This is a concept studied in Positive Psychology called Flow, which describes the aforementioned mental state a person can be in when engaging in an activity. Mihaly Csikszentmihalyi, a psychology professor who proposed the idea of flow suggested numerous applications and benefits that the state of mind has. Meditation is one of the ways in which flow is achieved. There are many techniques out there on how to meditate. If we consider anything and everything that puts you into a desired state, the method of meditation comes down to two categories: Internal and External. When I say an internal method of meditation, I mean the simple decision to go into a desired state. This, in my experience, has been the quickest yet most difficult way to meditate. It is the method that I think requires constant practice and experience. Some people actually throw themselves into Vipassana Meditation, where volunteers sign up for extended periods of meditation in silent, isolated environments. The way most techniques practice arriving to this ability is by relaxing the mind. It’s harder than it sounds, so to make it easier, a lot of techniques involve also relaxing the body. Some body positions help facilitate relaxation (we are all familiar with the popular lotus meditation position). To be able to just decide to be in a certain state, the mind has to get a lot of practice being in that state. The external method is about manipulating the senses as it has a direct influence over your psychology. Even reducing stimulation to the senses puts people into meditative states. Quiet, uncluttered, neutral colored rooms, for example, can be relaxing and can induce a desired state. Like I mentioned earlier, I believe methods go just beyond sitting still or getting into certain positions. By its very definition, all the things we do in life that can put us into into whatever state we desire is a meditative method. If you want to feel energized and music puts you in that state then that’s a method. If seeing new awesome sceneries and becoming part of those moments is meditative, then exploration is a method. Csikszentmihalyi says that there are three conditions that must be met to achieve flow. Once achieved, the consequences are amazing. All of this stems from the idea that you, a thinking thing, has direct influence over the quality of your thinking through the actions caused by that induced mindset. Your consciousness moves through moments, and it is imperative you engage with each of them optimally. I also believe it important for one to constantly vary their experiences, from traveling to explore the wide world outside, to reading and exploring limitless worlds within. This is why I am passionate about everything, even the simplest of activities. This is my Raison d’être. Experience produces learning, which I believe then becomes a reinvested dividend to better the conscious experience. You really have to decide to want to engage in everything that way. I have to decided to make this life worth living. Stephen Labit is an adventurer, aviator, and investor from the United States. He has a degree in Psychology and is adept in Philosophy, Game Theory, and the study of human nature. He believes a life fulfilled consists of traveling, eating exotic food, finding enlightenment at the end of crossfit workouts, and conversations that tend to lead to ego death. Take a risk and engage with him at Stephenlabit.com or Instagram/Twitter @slabit.